One of the best creations from my Instant Pot has been greek yogurt. It’s extremely smooth, creamy and I can control the tartness myself. However, I always have 6 cups of whey left over after straining the yogurt! I used to throw it out but it felt like such a waste. Recently I found a super easy recipe for homemade whey bread and the results were shocking. 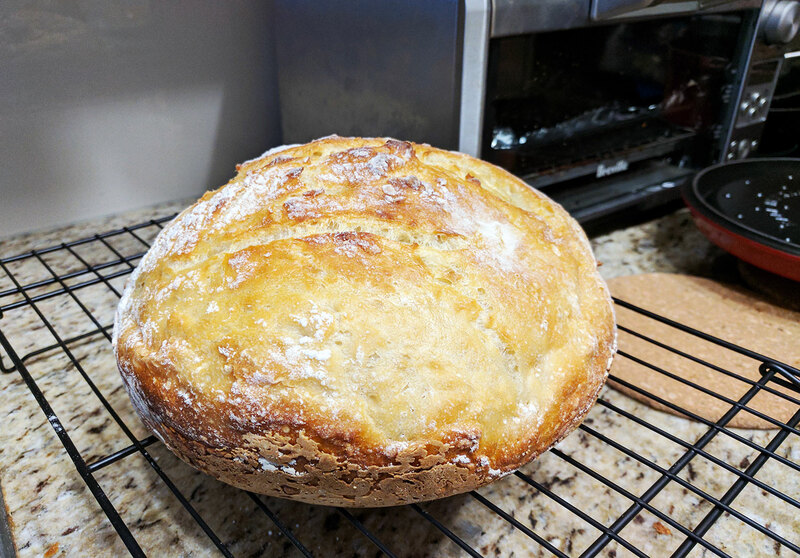 It came out beautifully in my dutch oven; I’ll never buy bread from the store again! The dough took a mere 5 mins to combine. I let it rest in the fridge overnight with saran wrap covering the bowl since I started the dough late in the evening. Otherwise you can cover the bowl with a towel or saran wrap and let it rise for 2 hours (or until dough has doubled). Once the dough is ready, preheat the oven to 450F with the closed dutch oven inside. Meanwhile, turn the dough on a floured surface or parchment paper. The dough will be VERY sticky so make sure the surface and the dough is well floured. Fold the dough in from 4 sides, and then flip the dough around so that the seams are at the bottom and the top of the dough is round. 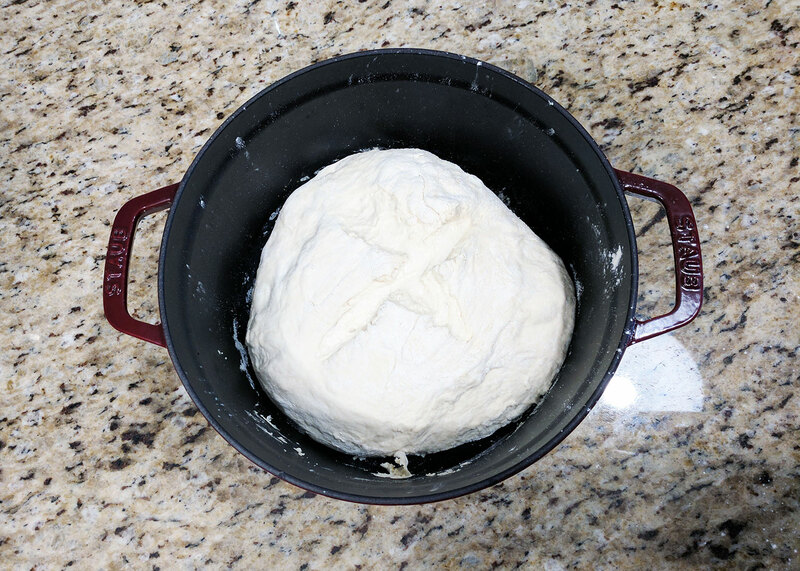 When the oven has preheated, take out the dutch oven and lightly flour the inside of the pot. Carefully place the dough into the pot with seam side down. 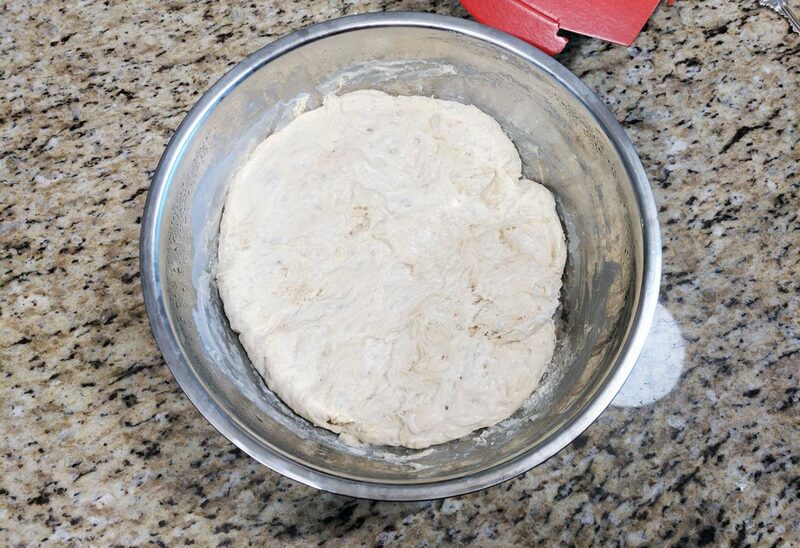 Make a few cuts on top of the dough and close the lid. Bake for 25-30 mins, and then 5 mins uncovered until the loaf has browned fully. I would love to try adding some cheddar cheese, rosemary, or cranberries next time I make a loaf. Let me know if you gave this recipe a shot and how it turned out! Just 5 minutes to make the dough and 25 mins to bake! An easy way to make use of leftover whey from Instant Pot yogurt. Recipe adapted from https://delishably.com/. Dissolve 1 tbsp sugar, 1 tsp salt and 1 packet of yeast (8g) in the warmed whey. In a large bowl, combine the whey mixture and 3 cups of flour. 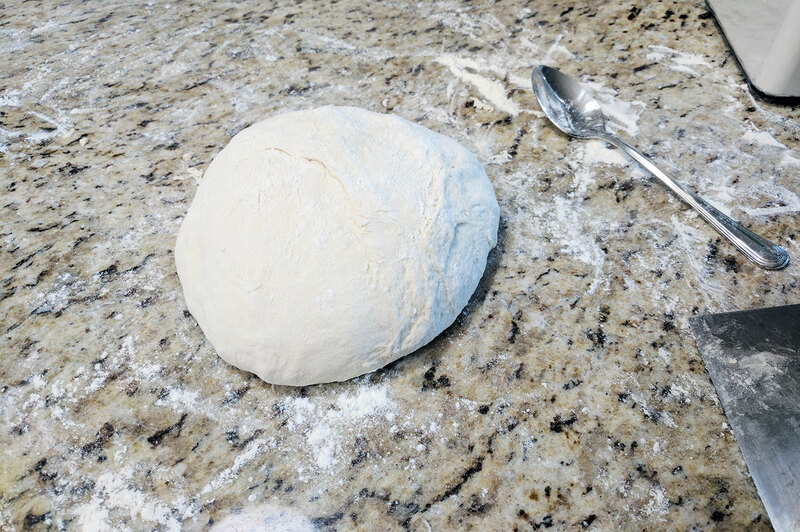 Cover the bowl with a towel or saran wrap, and let the dough rise for 2 hours (or overnight in fridge). 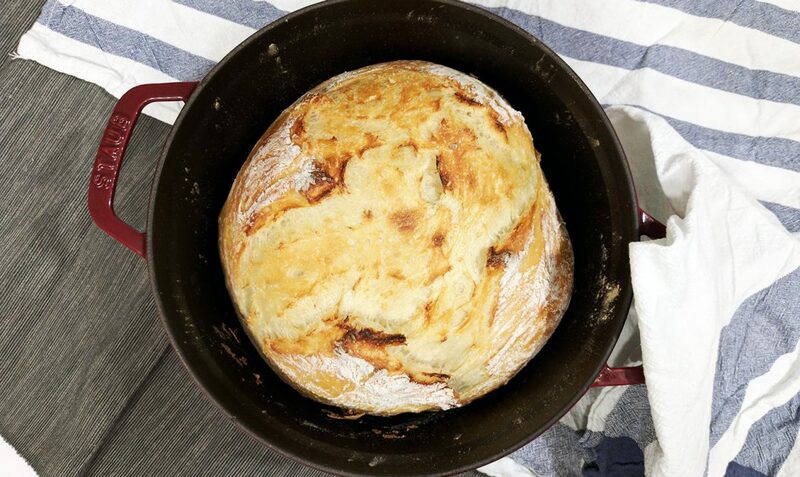 When the dough has doubled in size, place an oiled dutch oven with lid in the oven and preheat oven to 450F. Once oven has been preheated, remove the dutch oven and lightly flour the pot. Place the dough seam side down into the pot. 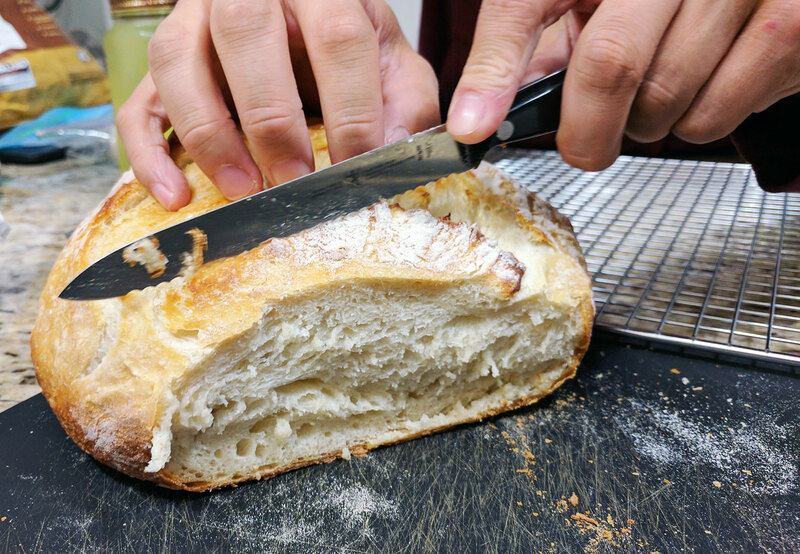 Lightly flour and make a few cuts in the top of the loaf. Bake for 25-30 min covered, and then bake for 5 mins uncovered or until the loaf is medium-dark brown. The loaf will sound hollow when you knock on the top.